What started as just adult size patch quilts, grew into t-shirt quilts as well. Need something to do with all your old school shirts? Send them my way, and I’ll patch together a quilt top so you can cherish the memories (without losing closet space). 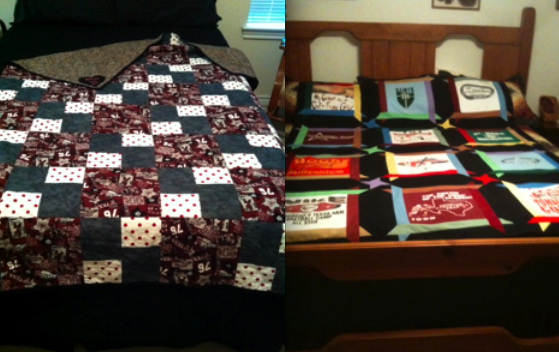 The Aggie quilt was one of my first- a graduation present for my daughter. Block t-shirt quilt on the right.